Designed by Jan Maack in 2013. Published by FontFont as part of the FF Marselis Super Family. 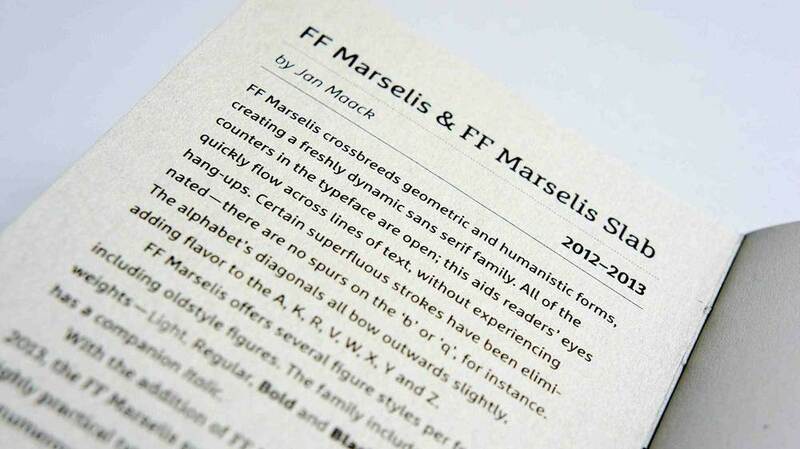 FF Marselis Slab supports up to 82 different languages such as Spanish, English, Portuguese, German, French, Turkish, Italian, Polish, Kurdish (Latin), Azerbaijani (Latin), Romanian, Dutch, Hungarian, Serbian (Latin), Kazakh (Latin), Czech, Swedish, Belarusian (Latin), Croatian, Finnish, Slovak, Danish, Lithuanian, Latvian, Slovenian, Irish, Estonian, Basque, Luxembourgian, and Icelandic in Latin and other scripts. FF Marselis mixes geometric and humanistic models, creating a freshly dynamic sans serif family. All of the apertures in the typeface are wide open; this aids readers’ eyes quickly flow across lines of text, without experiencing hang-ups. Certain superfluous strokes have been eliminated – b and q are spurless, for instance. The letterforms’ diagonals all bow outwards slightly, adding flavor to the “A”, “K”, “R”, “V”, “W”, “X”, “Y” and “Z”. Many designers chance upon using the same graphic shape for the lowercase “a” and “e” – the idea seems simple enough: just rotate the form 180º and you should be done! However, almost all attempts at this kind of theoretical simplification fail in practice. 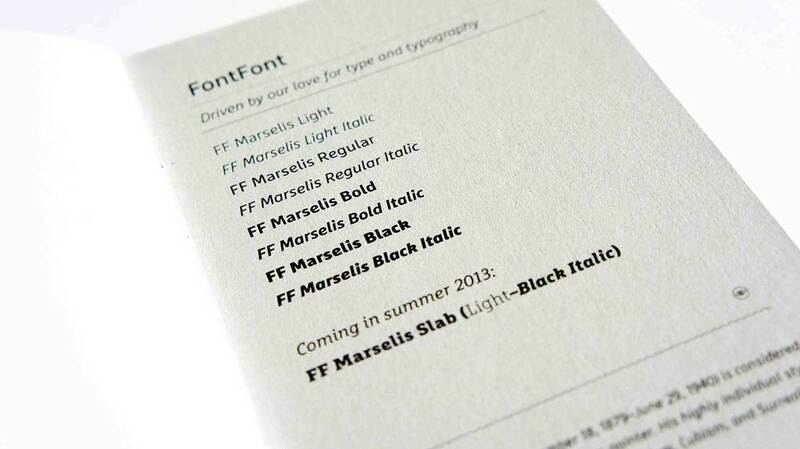 With his design for FF Marselis, Jan Maack has made it work. Rather than whole letterforms, a teardrop counterform repeats throughout the alphabet, not only in the bowl of the lowercase “a” or “e”, but also in the “k” and the uppercase “Q”. This teardrop form is a vivid, smooth junction of strokes, most commonly seen in the connection of the lower curves with the vertical stem in lowercase “a” of many typical grotesk-style sans serifs. FF Marselis offers several figure sets per font, including oldstyle figures. The family includes four weights from light to black. Each weight has a companion italic. 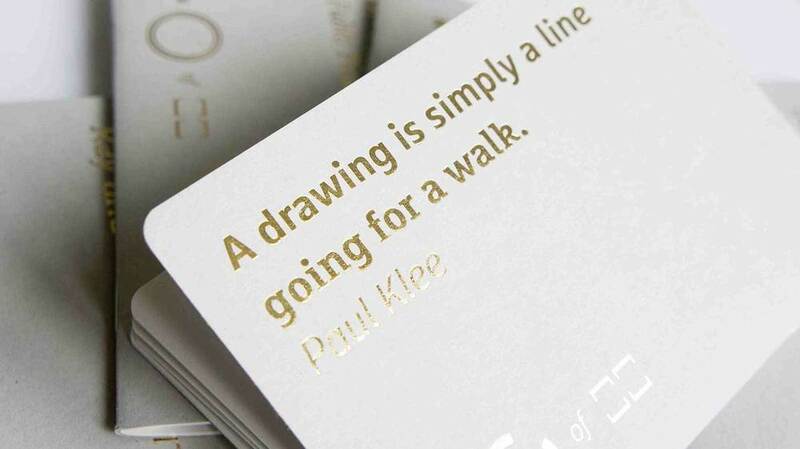 When designing the Slab version, Jan Maack has not just added serifs but revised the forms themselves. FF Marselis Slab has rounded inner corners to make the serifs more subtle; it has more closed counters, a slightly reduced horizontal thickness and uneven diagonals strokes. 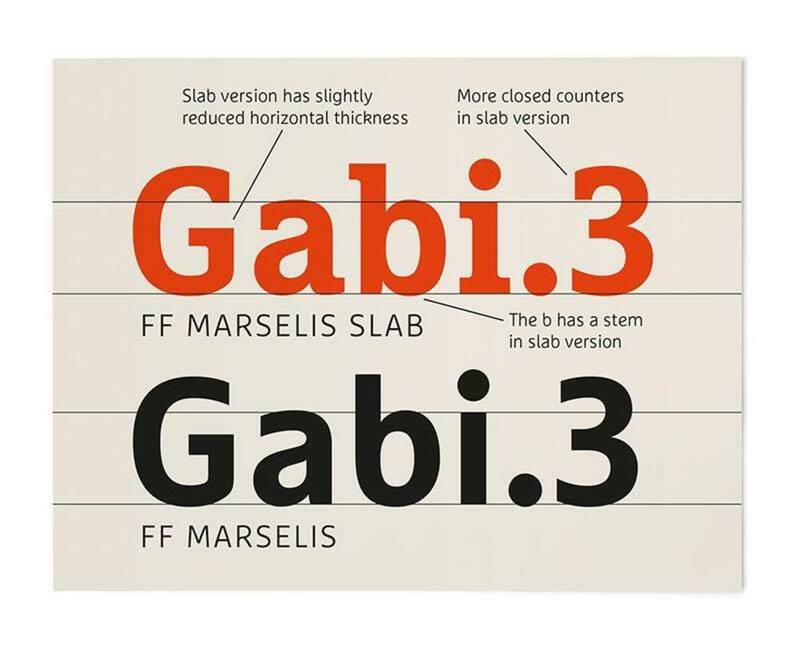 Contrary to the Sans version, the b has a stem in FF Marselis Slab, and the k has a longer leg, bending outward. The weight range in the Sans and Slab versions is the same, so this super family is especially suited to corporate design.